On Saturday, October 27th, we held a Discernment Afternoon, Walking with God on the Path of Life. It was attended by a group of ten people who were very attentive and responsive. We enjoyed our exchanges with them in the parlour afterwards. Three short talks were given during the event and you can read them here. Good afternoon, and welcome. Thank you for coming. I hope you will find the experience helpful and will be able to carry something from it into your future lives, because it is about learning how to walk with God on the path of life that lies ahead of you. You will be well aware of the Synod just coming to a conclusion in Rome where the Church has been focussing on how best to serve the needs and answer the hopes of her younger generation. I don’t know if any of you have noticed a slight change in the title of the Synod. It first appeared as Youth, the Faith and Vocational Discernment, but over time it became, Young People, the Faith and Vocational Discernment. When Pope Francis spoke to the young people gathered in Rome for the pre-synod meeting last March he objected to the term Youth. He said there is no such thing as “the Youth” there are only individual young people, each one with a face, a name, a life. That is how Pope Francis sees people, because that is how God sees people, not as a collective, but as individuals whom he knows by name, and for each one of whom he has a personal love and a loving plan. Obviously, the first and fundamental desire that God has for us is that we should live in close relationship with him, as friends and followers of Jesus. But the quality of this relationship with God is unique to each one of us, and the particular way in which it unfolds in our lives is what constitutes our personal vocation. To discover our own vocation then is what gives the deepest meaning to our existence. It is a gift to be welcomed, because it is the way to the fullness of life and love. As you know, a vocation is a call, and it has two aspects. Your vocation is a call to become fully the person God created you to be, and it is a call to a particular form of service, of self-giving.First of all, you are called to become fully the person God intended you to be. Do you ever ask yourself, who am I really? And am I becoming the person I am meant to be, or simply the person the culture around me tells me I should be? To walk with God on the path of life is always a journey of self-discovery, a journey into authenticity.It is to walk deeper into the mystery of your own being, and anything worthwhile in life has to be grounded there. The second aspect of vocation is a call to a particular form of of self-giving, of service to others. We all want to know that our lives have a purpose beyond ourselves; we want to be of some benefit, to bear some fruit for others during our time on earth. It might seem obvious to you that priests and religious offer a service to the Church and to humanity. But married couples also give a form of service, witnessing to the reality of committed love and bringing a new generation into the world. Every career or profession is a service of some kind to humanity. The ways of serving are endlessly varied, drawing on all the gifts and abilities with which God has blessed us. Do you ever ask yourself: “What is the purpose of my life”? I don’t mean, the purpose of life in general – that is a philosophical question. But what is the purpose of my own life, the one life that has been given to me to live? The image on the front of your leaflet carries a text from the prophet Jeremiah: I know what plans I have in mind for you, says the Lord… to give you a future and a hope. God knows the purpose of your life, he knows the plans he has in mind for you. And he doesn’t intend that they should remain a secret. He wants you to understand what is his burning desire for you. In order for you to know it, you have only to ask him and he will tell you. Jesus encourages us in the Gospel: “Ask and you will receive; seek and you will find; knock and the door will open”. If you ask, God will answer you. Often He will answer through his word in scripture; but he will also answer you in the events and circumstances of your life; he will answer you sometimes through the guidance of others; but above all, he will answer you in the silence of your own heart – if you are listening. But in order to be able to listen to the voice of God in your heart it will be necessary, some of the time, to silence the many other voices that compete for your attention. You will need to find times of silence, places of silence, ways of cultivating silence in a world of endless noise. During the liturgical prayer that will follow shortly, there will be aperiod of silent prayer and I will say a few words beforehand about how you might use that time. It is our way of sharing with you something that is central to our own vocation here in Carmel. 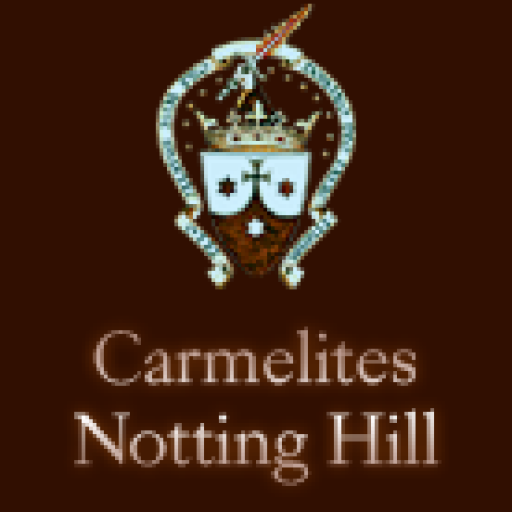 A Carmelite’s particular form of service to the world around her is to live in continual openness to God on behalf all humanity, and so we spend two separate hours each day in silent prayer. We won’t require two hours of you! Or even one hour.But we would like to offer you a brief experience of the silence and stillness that will allow you to be attentive to God’s presence and to hear what he will say to you in the solitude of your own heart. We will now sing part of the Divine Office, Afternoon Prayer. You can follow in your leaflet and I hope you will be able to pick up the psalm tone and join in. After the hymn, The Hiding Place, there will be a 15 minute period of silent prayer and I just want to say a few words about how you might use that time. If you are already accustomed to spending time in silent prayer, then simply pray as you normally would. On the other hand, if you find the prospect of 15 minutes of silence a bit daunting then you might be glad of a few suggestions. First of all, I recommend that you try to be physically still. Exterior stillness is a great help towards interior stillness. So, sit in a relaxed way but upright, not as if you were settling down to doze in your chair! Attending to your breathing for a few moments can help to calm and quieten you. Ask the guidance of the Holy Spirit. Then just let yourself be aware of the silence around you and bring your attention to the fact that God is present to you in the silence. St Teresa of Avila, the great Carmelite teacher of prayer, says, “Just look at Him”. She says it repeatedly, “Just look at Him… He never takes His eyes off you”. By “look at Him” she simply means – turn your attention to His presence. To “look at Him” is to meet God’s gaze. It is to allow yourself to know that you are being looked at with love, with understanding, with total acceptance. To “look at Him” is to direct your attention to the one whose attention never leaves you for a moment. God “never takes His eyes off you”. You will soon find, however, that your own attention begins to wander. When the mind does not find anything to occupy it sufficiently it will go off in search of something to think about. It is what the mind does. Don’t be surprised by this, but when you become aware of being distracted, just quietly bring your attention back again. When St Teresa says, “Just look at Him”, she adds “… just for a moment, if you can’t do more”. She knew all about distractions! Teresa found it helpful to turn to a Gospel image of Jesus as a way of recalling her attention. You might prefer to use a prayer word, a word of scripture, or words of your own expressing your desire to know and to follow God’s will for you. On the back of your booklet you will find some scripture verses and other short prayers. You might find it helpful to use one of these, or just a single phrase, repeating it quietly to bring your attention back to God’s presence, over and over again. Silent prayer will almost always consist in the repetition of the same small movement of attention, returning to the presence of God, meeting again God’s gaze. As often as your mind wanders, just keep returning to the same point, which becomes in time a point of stillness, a place of silence in which you can listen for the word that God will speak to your heart. We will have the hymn, The Hiding Place, and then silence. Just a final few words about how you might take this forward. As I mentioned earlier, God’s great desire for us is that we should live our lives in close relationship with Him. And no relationship will grow and deepen without time spent together. I would encourage you, then to build into your day a period – perhaps 15 or 20 minutes – that is set aside as your time with God, a time of silent prayer. Find a quiet place, or just a corner of your room and switch off your phone. It is these moments alone with God that will support you in walking with God on the path of life. A growing relationship with God will deepen your appreciation of Mass and the Sacraments, and it will strengthen your commitment to following Christ in discipleship and friendship. Obviously, God is with you in everything you do; He is present to you in everyone you meet. But you will be more conscious of this in proportion as you are willing to spend time directly focussed on God alone. This will carry over into the rest of your day and will help to keep you attentive and responsive to the signs of God’s guidance in your life, allowing Him to reveal His plan for you, one step at a time. As Bl. John Henry Newman has it in his famous hymn: “Lead kindly light; Keep Thou my feet, I do not ask to see the distant scene, one step enough for me”. I mentioned earlier that Jesus in the Gospel encourages us: Ask and you will receive; seek and you will find; knock and the door will open”. (Matt 7:7) And he assures us that the one who ask receives, the one who seeks finds, the one who knocks has the door opened. It will be so, simply because to be asking, seeking, knocking, is to be living in an attitude of openness to God’s response. This allows God to guide you to the fulfilment His purpose for your life so that you grow into the person you were created to be.